Second-largest of Greece’s seven Ionian islands, Corfu (Kérkyra in Greek) lies close to the west coast of Albania and northern Greece. Size: 65km by 18km (about 640 square kilometres). Climate: Corfu’s annual rainfall (1,087 mm) is twice that of Madeira or Sicily and notably higher than London’s (600 mm). Almost all the rain falls between October and April; summers are hot and dry. Main economic activities: tourism, olive oil production, wine production. 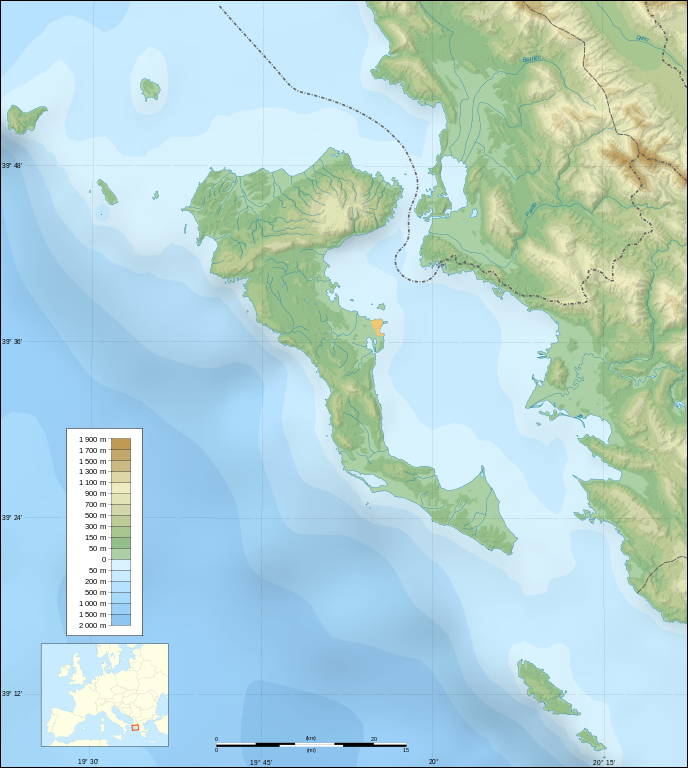 Year-round population: 113,000 (2011 census) of whom about 37,000 live in Corfu Town, the capital. Some 10,000 are British expatriates. The island capital, Corfu Town is one of the Mediterranean region’s most beautiful small cities and a UNESCO World Heritage site. Strategically positioned at the entrance of the Adriatic Sea, the town traces its origins to the 8th century BC. By the mid-19th century Corfu had become a popular winter destination for wealthy British visitors, and after joining the new kingdom of Greece in 1864 it also began to be favoured by the aristocracy of Europe. It remains a cosmopolitan destination, famous for the ‘Kensington on Sea’ villas of the northeast coast but also for the excesses of mass tourists visiting Kávos in the south. 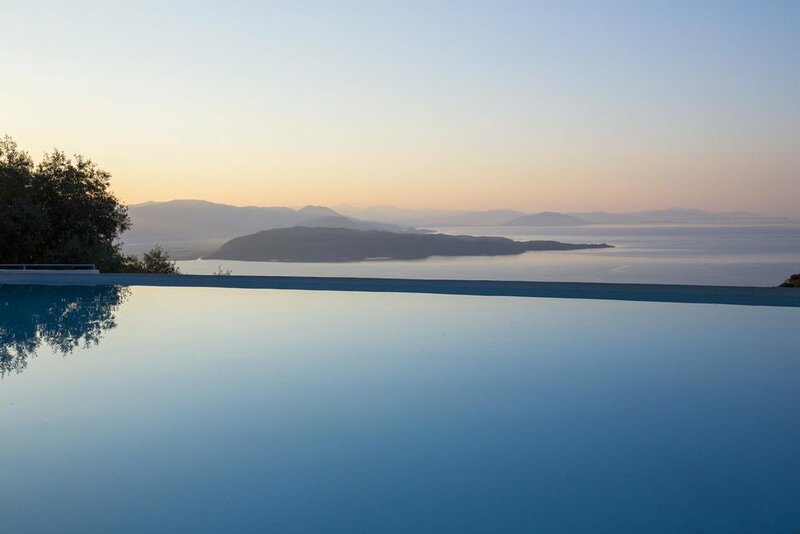 Corfu receives some 1.5 million visitors annually. The local authorities have begun attempts to rebrand Corfu’s image away from ‘sun sea sand’ tourism towards cultural and ecological types of tourism. Eco-tourism—especially walking holidays and tours to see wildflowers, and biking and jeep tours to appreciate the dramatic landscapes—has been expanding recently. Mon Repos. Built by British High Commissioner Frederick Adam in 1828-1831, this neoclassical mansion passed to King George I of the Hellenes when Corfu was ceded to Greece in 1864, and the Greek royal family used it as a summer residence up to the end of the monarchy in 1967. It is said that, one year, King George I of Greece and the then-Prince of Wales, later Edward VII of England, fought a duel in the garden with overripe oranges. Several royal births took place at the palace, including those of H.R.H. The Duke of Edinburgh, husband of British Queen Elizabeth II, in 1921. Mon Repos and its extensive wooded grounds are open to the public. Achílleion. Tragic Empress Elisabeth of Austria built this white palace not far south of Corfu Town in the 1890s to reflect her dreams of Greek antiquity. Her gardens were planted with exotic trees and shrubs, many of them quite new to Europe at the time; several of these survive today. In a poem she wrote in October 1887, Sehnsucht nach Corfu, she yearns ‘for the cypress trees that stand high on the grey rocks, from which, gravely and forgotten by the world, they look dreamily towards Albania…I wish I could go walking and reflect once more in the aromatic orange grove, as I used to do once upon a time, all alone with my solitary dreams.’ The Achílleion is open to the public. Angelos Giállinas (1857-1939), born in Corfu to a noble family, is generally seen as the island’s foremost watercolour artist. Full of light, his paintings capture the beauty of Corfu’s land- and seascapes. The Ionian Academy, established in 1824 in Corfu Town, was Greece’s first university and provided the foundation for today’s Ionian University. Corfu has an estimated 3 million olive trees, many of which were planted in response to financial incentives from the Venetian administration in the sixteenth century. Unlike the intensively managed trees in Greece’s Kalamata region, Corfu’s olives are often 15 metres tall and form highly atmospheric ‘forests’. Corfu has more wild plant species—numbering some 1,400—than any other Mediterranean island. An early botanical garden: Corfiot scientists in the early nineteenth century catalogued and studied the rich native flora and in 1824, they set up a botanical garden in Gáritsa, near the old ruins of the convent of Santa Justina. It contained 4,000 plants both local and imported, including maples, cedars, fruit, ornamental exotic plants, and flowers including carnations and roses. The contents were moved to a new botanical garden in the grounds of Mon Repos in 1830.